The Extreme4 has been a mainstay in ASRock’s portfolio for many generations and it’s a model which we’ve continued to focus on throughout the years. In the past this model has been synonymous with excellent price-to-performance and we’re pleased to confirm that this concept continues with the Intel Z390 chipset. 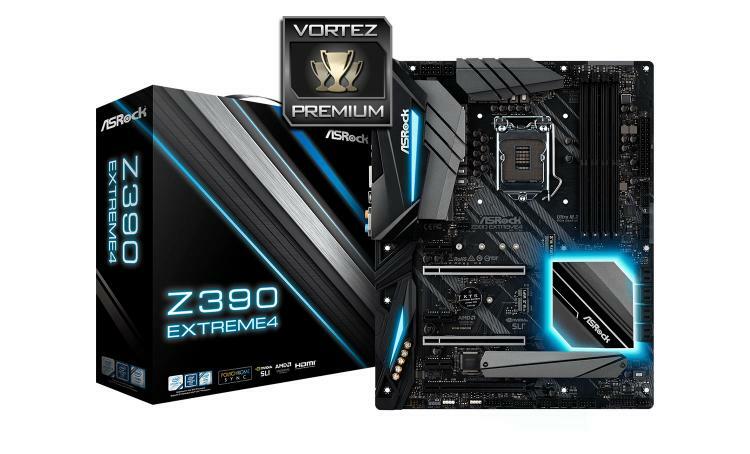 Much like many of the motherboards gracing the market at the moment, the Extreme4 settles for a neutral aesthetic – blending together blacks, greys and gunmetal. While we really miss the eye-catching black/gold found on the Z170 Extreme4 – playing it safe with such a design is quite a sensible option as it will merge with other computer hardware easily and avoid locking the system builder into any set theme. Many of the same features have been carried over from the Z370 Extreme4 to this Z390 model. There are steel reinforced PCI Express slots, support for up to 4300MHz DDR4 and a good mixture of storage functionality with up to eight SATA 3 (6GB/s) ports and twin M.2 slots – one even arrives with a full coverage heatsink. With the introduction of Z390 motherboards, plenty of manufacturers are now including USB 3.1 headers but ASRock has stepped up front panel connectivity by supplying two USB 3.0 headers and one USB 3.1 header. Although case designers are still concentrating on USB 3.0 ports on the front panel (largely due to few motherboards supporting anything else) this should encourage chassis being designed for 2019 to include USB 3.1 ports. A careful comparison of other models featuring the Intel Z390 chipset will identify Extreme4 as a good value for money solution. Other motherboards are adorned with the same features and yet cost considerably more. Against other options available the Extreme4 provides us with some solid performance across the range of tests. The Intel Core i9-9900K leaves a small amount of headroom for overclocking but we were able to modify the clock speed to 5GHz without too much effort. As has been the story in the past, the Extreme4 under the Z390 chipset delivers up a whole lot of features/performance for considerably less than the competition!